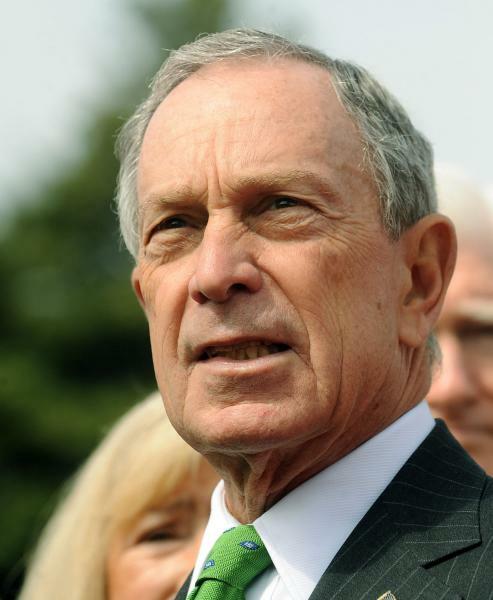 "Stop immigration bickering" New York Mayor Michael Bloomberg says. Michael Bloomberg said Sunday that conservatives should stop fighting immigration and accept it as necessary to U.S. growth. Speaking on "Fox News Sunday," Bloomberg said immigration reform should include acceptance of the illegal immigrants already in the country alongside measures to prevent more from coming. "They came here, they broke the law, and, let me tell you, this country encouraged them to come here and made sure that we didn't stop them," the mayor said. "But that's the past. What are you going to do going forward? You can't deport them. It's just too many people. It would never happen. So let's find a way where they are productive, where they contribute to society." Bloomberg said the problem is 25 years old and began in President Ronald Reagan's administration. "Sitting around and yelling and screaming about something that was created by Congress in '86, where they passed a law saying we're going to stop the illegals coming into this country, but then deliberately did not fund any kind of an enforcement leaves us with 11 million rather than the 2 million we had then," Bloomberg said. Asked repeatedly if he was considering a run at the presidency, he spoke of his commitment as mayor of the country's biggest city. "I promised the (New York) public that I would fill out four years if they elected me," he said. "I have 981 days left, but who's counting?"